Lecture of the Rev. A. De Sola, at Montreal. The messenger from our oppressed and persecuted brethren of Shushan, (referred to in Vol. V. No. 11, of the Occident,) arrived in Montreal on the 6th of October last; and the following evening our Hazan, the Rev. Mr. De Sola, (whose guest the Rabbi continued to be during the five weeks he remained in Montreal,) made an appeal for him in the Synagogue,—it being Ereb Kippur,—which was responded to by an offering of about seventy dollars. As this sum, though it may be deemed liberal as an offering of so small a community, was considered too trifling to repay the Rabbi for travelling so far north, the trustees met to consider in what way this amount could be increased; when on the suggestion of the president, the Rev. Mr. De Sola was asked to deliver a public lecture, which that gentleman readily agreed to do. The committee’s announcement of “A Lecture on the Present State of the Jews and Christians, in the dominions of the Shah,” was regarded with much interest by both Israelites and Christians; the latter, indeed, expressed the most lively sympathy for the Jewish sufferers, although neither of their country nor their creed. As an instance of which I may mention that the Rev. Mr. Cordner, minister to the Unitarian congregation, the Sunday preceding the lecture, called the attention of his flock thereto, and recommended them to attend. Other ministers are said to have done the same, and the public press were not behindhand in their advocacy. Each paper came out with editorials, alike creditable to the writers as complimentary to those connected with the lecture. The following from the Transcript may perhaps serve as a specimen. Independently of the great interest excited of late years by everything relating to the Jewish people, to whatever land they may belong, there will be, this evening, a strong provocative administered to the curiosity of the visitors, in the appearance of “an accredited messenger” from his oppressed brethren in Persia. A crowded audience is anticipated,—so much so, indeed, that the Temperance Hall has been selected in preference to the old News Room, in St. Joseph Street—at which place the lecture was previously announced to be delivered. In the course of lectures delivered before the Mercantile Library Association last winter, was one by the same gentleman who proposes to deliver the lecture this evening, having for its theme the persecutions endured by the Jews for centuries in Great Britain and other nations of Europe—now happily unknown and unfelt, except among the semi-barbarous Slavonian nations of Poland and Russia;—in England, France and Germany, and in Southern Europe, the Jews being now generally acknowledged among the most loyal, and in many cases, the most respected subjects of these empires. We recollect with what a feeling of interest the lecture we speak of was regarded—although the lecturer spoke only of sufferings long and patiently endured, but now passed away for ever. With how much more eagerness then, will the discourse of this evening be listened to? It will refer to a people, the oldest as a distinct race, that the world has known: commercially and politically amalgamating, yet still socially distinct from other nations—unchangeable, though all but themselves have changed—adhering still to that faith whence we derive our own, and to the customs and forms of worship of their forefathers, alike through prosperity and adversity, through good and through evil report; while that portion of this people to whom it will more particularly refer, are still the suffering victims of persecution, of the most cruel and degrading character. We hope the plea will be responded to. On the evening of the lecture, the 26th, the hall was crowded with one of the most respectable audiences that had ever assembled to listen to a lecture in Montreal. Among the company was the Speaker of the House of Assembly; the attorney and solicitor generals, judges, heads of colleges, and the clergy of various denominations, in short, all the literati of our city were present; and it is but justice to Mr. De Sola to say, that he acquitted himself of his task with great credit, and fully satisfied the eager expectations which the announcement of the lecture had raised. “The lecture,” says the Pilot newspaper, “was a most interesting one, and the thrilling details of the persecution and suffering to which the Jews and Christians are exposed in the kingdom of the Shah, were listened to with the deepest attention, and excited the profoundest sympathy. We cannot attempt to follow the lecturer through his graphic description of the habits and mode of life of the <<515>>Jewish inhabitants of the city of Shushan, nor of the horrible cruelties inflicted on them by the Mahometans &c., &c.” I am unable to give you any digest of the lecture, not having the lecture nor any notes before me; but perhaps the following notice may do to give some idea of the points touched upon, in a discourse which gave unusual satisfaction to a highly intelligent and respectable audience. It is from the report of The Transcript newspaper, of 28th October. “Mr. De Sola commenced his lecture by alluding to the sad and sorrowful cause which had led the learned and pious Rabbi to come on a mission of wo, to his co-religionists in various portions of the globe, in the hope of obtaining from them the means of alleviating in some degree the intolerable persecutions under which the Jews of the Persian empire laboured. “The reverend gentleman entered into a brief but very interesting description of the city of Shusan, more especially of the Christian and Jewish quarters of the city, describing minutely the manners and customs, the garb, modes of worship, household and domestic economy, &c , &c., of this distant and interesting people. He also gave a glowing description of the interior of the markets, bazaars, and places of public worship, and prisons of this populous Eastern city—the description of which may be considered as a type of all the rest. After amusing and interesting his audience for some time with details of this nature, Mr. De Sola proceeded to give some information as to the treatment of the Jews and Christians by the Mahomedan portion of the population, and of the cruelties and indignities daily perpetrated by Mahomedans of all classes, for mere love of wanton barbarity, on their unhappy and unresisting fellow-countrymen, and fellow-citizens, of an opposite faith. “The Jews and Christians, he observed, were both hated and despised by the Mahomedans—perhaps the Christians were the objects of a deeper hatred than the Jews, although they did not so generally feel the effects of the persecutions so deeply, as the Jews inhabited the towns chiefly, while the Christians were spread abroad to the country. A mutual feeling of oppression and ill-treatment has caused a strong feeling of friendship, and a desire mutually to aid one another in their distress, to spring up between these two oppressed classes of the subjects of Mahmoud Shah, and, as generally happens among the persecuted of any race, the oppressed Jews and Christians were always ready to afford such aid and shelter as lay in their power, each to the other. “We have not space to enter into the various interesting details mentioned by Mr. De Sola; we will, therefore, merely state a few of the oppressive practices of the Mahomedans, in the city of Shusan. Among other grievances, every family of Jews is compelled to pay to the Shah—be that family, rich or poor—the sum of three dollars weekly, as a poll tax, with the exception of four months in the year, answering to March, April, May, and June, in the Christian calendar—these months being those during which several important phases occurred in the life of Mahomet. It must be recollected that the relative value of money is widely different in Persia and in Great Britain and Canada, and that three dollars is very much larger sum there than it is here—from this, the dreadful oppression of this tax may be conceived. The method of collecting this tax is also of a tyrannical character. A Mahomedan officer, on the day appointed for receiving this tax, goes into the quarter inhabited by the Jews, accompanied by a guard of soldiers, and the tax collector. Having seated himself in the middle of the street, he sends his myrmidons to the different houses, to receive the money from the hands of the oppressed. The soldier, having knocked at the door of the enclosure containing the domestic offices of the families, immediately demands the amount, frequently in this style:—“Come forth, dog of a Jew, and pay your tax!” This the <<516>>master of the house immediately runs out to deliver, holding his hand open that the money may be seen, or the brutal soldier would not wait until he came to him, but he would be immediately seized and dragged to a place of punishment, and in all probability cruelly bastinadoed, often to the great risk of his life. 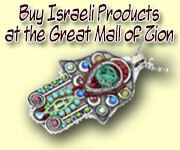 “When a Jew or a Christian in Shusan goes to market, he dare not touch the articles he sees exposed for sale in the bazaars, but modestly inquires the price of the vender, standing at a distance; on being told the value, he spreads a cloth on the ground, on to which the purchase is thrown—the purchaser depositing his money in a basin of water, that it may be purified before it touches the palms of the follower of Mahomet. Two or three especial acts of the grossest barbarity which have occurred of late years were related, from information received on good authority, by Mr. De Sola. One was that in the year 1840, a Mahomedan child was lost, and some Jews being near the place where the child was last seen, they were immediately charged with having murdered the child for the purpose of obtaining the blood for the celebration of the Passover. In vain the Jews remonstrated; one was seized and condemned to be burnt alive by a slow fire. His brother endeavouring to gain his pardon was condemned to the same punishment, and both suffered amidst the tears and lamentations of the whole of their fellow-citizens—many of the Mahomedan spectators being compelled to retire, struck with horror, from the scene. A Jewish goldsmith, also, of great skill in his handicraft, was seized on a false charge of having dared to kiss a Mahomedan lady, in consequence of having some weeks before offended the lady by refusing to repair a ring, in consequence of a press of business, and condemned to a most cruel death. “The circumstances which immediately led to the determination of sending forth messengers of their tribe, to endeavour to stimulate the sympathy of their foreign co-religionists in their behalf, was the imprisonment, with grievous corporal punishment, of the whole of the inhabitants of the Jewish quarter, in consequence of a child having been killed by falling from the roof of a house in the Mahomedan portion of the city, and carried to the Jewish quarter, out of sheer enmity, for the purpose of enabling the parents to charge the Jews with having caused his death. Remonstrance, of course, was useless; and the jail, with the most cruel privations and inflictions, was the doom of the oppressed. The king’s brother purchased the captives for the sum of $48,000—an immense sum in Persia—and then going to the jail, he offered them their liberty on embracing the tenets of Mahomet, or otherwise on promising payment of the whole sum with 20 per cent. interest after three years. After some time, seeing no prospect of relief, and their friends and relations dying around them, the unfortunate Jews consented to the terms of their oppressor, and were liberated, only to find on their return to their homes, that robbery and spoliation had been at work, and that they were reduced to utter beggary. Then it was resolved, in a conclave of the almost maddened victims, to send forth messengers to pray for succour and relief; lots were cast, and three trustworthy, learned, and pious members of the community chosen, who departed on different routes, in hopes, by the recital of the suffering of their tribes, to awake a sympathy that might lead to an amelioration of their abject condition. The Rabbi was chosen to travel westward, over Europe and America. Some of his own family have been crippled for life by the cruel application of the lash. This was in 1843. Since that period he has travelled through the principal cities of Europe and the United States, and has now come to Canada to solicit that aid which, in the cause of humanity, be it Jewish or Christian, has never been withheld. “Mr. De Sola related some particulars of the result of the mission, especially the interest that the Rothschild family and Sir Moses Montefiore, the celebrated Jewish philanthropist, had taken in the behalf of their suffering <<517>>countrymen. The Queen of Great Britain had also sent a letter to the Shah of Persia, requesting him, in consideration of the friendship existing between the two Courts, to take into consideration the oppressed state of his Jewish and Christian subjects, and devise means for the amelioration of their unhappy condition. The result of this application is yet unknown, as the Rabbi left Europe shortly after the missive had been sent. “In America, his success has exceeded his hopes, and he has everywhere met with kindness and sympathy. “Mr. De Sola concluded his very interesting lecture with the expression of a hope that in the cause of charity the Jews and Christians of this country might ever be, as now, united. He thanked the assembly for the kindness and attention they had shown, and said if the Christians should ever need relief, the Jews would not be backward in the holy work of charity. “The feelings of Christians towards Jews in former times, were absurd and wrong. The Jewish authorities in Jerusalem caused ‘Our Lord’ to be put to death, some eighteen centuries since. But even their descendants should not be held by us as responsible for this, still less the Jews of other times and places. We might as well hold all Catholics responsible for the massacre of Bartholomew’s day, or all Episcopal Protestants for the rigour and tyranny of Laud, or all Scotch Presbyterians for the murder of the Bishop of St. Andrews, or all Calvinists for the burning of Servetus. Christians are bound by the law to treat all men kindly and with paternal sympathy. The committee were asked to make arrangements for the repetition of the lecture, but, thought proper to decline; but the managers of the Mechanics’ Institute have requested Mr. De Sola to deliver a second lecture at the Institute, during their winter course, to which I am glad to say he has consented, and I have no doubt it will be equally successful with his last.